As we near the end of 2015, We wanted to remind those with insurance to take advantage of any unused dental benefits. Every year you receive a maximum amount from your dental insurance company. We want you to make sure to use all available benefits to complete any treatment that has been preauthorized and other outstanding treatment. Your dental health is our top priority. We strive to give all patients quality dental care. 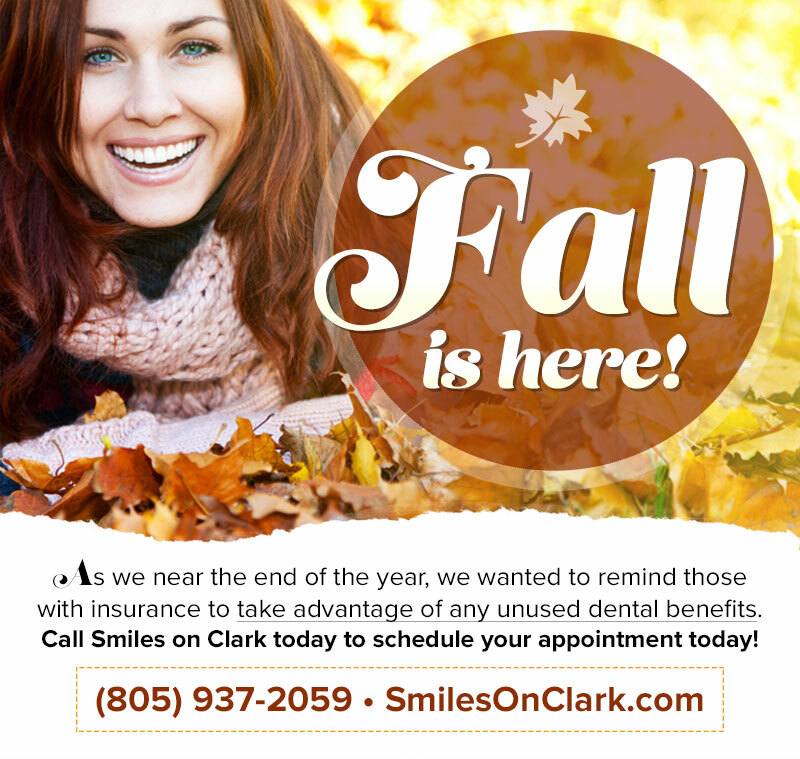 Call us today at (805) 937-2059 to schedule your appointment. We look forward to seeing you soon. If you have any questions regarding your insurance or treatment you may contact us Monday-Thursday from 8:30a-12:00p and 1:15p-5:00p.